It began on Saturday with 6,343 entrants across two starting flights, creating the largest single-day starting field in World Series of Poker history. Fast forward four days, 35 one-hour levels, 6,432 eliminations, and only one player remains standing. 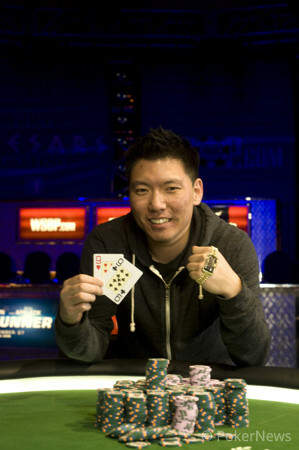 Benny Chen is the sole survivor, earning $1,198,780 for his historic achievement. Day 4 began with 10 players remaining and Chen was atop the leaderboard, but that position would change countless times over the course of the 195-hand final table. Bracelet-winner Dan Kelly notched the first two eliminations, sending Joe Kuether to the rail in tenth place and eliminating Theron Eichenberger in ninth place, to take the lead from Chen. 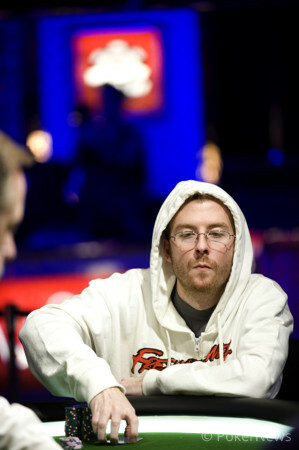 Following Robert McVeigh's elimination in eighth place, Chen was in sixth place out of the seven remaining players. When Upeshka Desilva exited in in seventh place, Chen was back to second in chips. 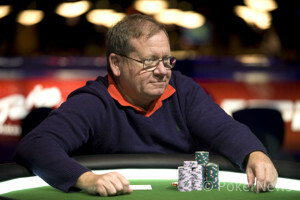 Chris Hunichen fell in sixth place and seven hands later, Kelly met his demise as well. Chen was second in chips with four players remaining, despite not having any eliminations under his belt thus far. Four-handed play lasted 95 hands with each player exchanging turns as both the chip leader and the short stack. Finally, on Hand #175, Justin Liberto fell at the hands of Chen. Three-handed play only lasted 12 hands before Chen dispatched of Jonathan Gray in third place. With a roughly 3:1 chip lead to begin heads-up play, Chen sealed the deal on the eighth hand of the duel. After Michael Bennington limped on the button, Chen raised from the big blind. Bennington clicked it back before Chen re-raised all in. Bennington called for his tournament life with , well behind Chen's . The board rolled out , locking up the victory for Chen. Congratulations to Chen for his historic accomplishment! We hope you enjoyed our hand-for-hand coverage of this final table, and urge you to follow our coverage for the remainder of the summer as more bracelets are awarded. For now, good night from Las Vegas! Hand #195: Bennington limped in from the button, and Chen raised it up to 1,000,000 even. Bennington three-bet to 1.6 million, good for a minimum raise, and Chen responded with an all-in declaration. Bennington quickly called with his , but found himself needing major help when Chen revealed the . The fans in attendance here at the Mothership stood to cheer, and the dealer fanned the most important flop of both player's lives. Bennington blanked the flop, and he was left searching the deck for the two remaining treys. No help arrived for the good doctor, and Michael Bennington was eliminated one spot short of the historic million dollar payday. Nonetheless, he takes home $741,902 for his amazing run, after playing through a talented field for four grueling days of three-bets and bluffs. Hand 193: Michael Bennington limped his button and Benny Chen checked his option. They checked to the river of a board where Chen bet 700,000. Bennington called, but mucked when Chen tabled for fives full of nines. Hand 194: Benny Chen limp-folded his button and Michael Bennington raised to 1.2 million. Hand #190: Chen raised his button to 800,000 and Bennington came along, checking and folding to Chen's post-flop bet. Hand #191: Bennington limped in on the button, and called when Chen raised to 1 million. The flop of caused Chen to lead out for 650,000, and this bet earned him the pot. Hand #188: In the first hand of our "Millionaire Maker" heads-up duel, Chen limped from the button, but folded when Bennington raised it up to 1.2 million from the big blind. Hand #189: Bennington continued pushing forward by limping in, and calling Chen's 1.2 million dollar raise. The flop came and Chen led out for 700,000. Bennington opted to raise the action, and Chen three-bet to force his opponent's hand into the muck. Hand #187: After Bennington opened for 800,000, Chen called in the small blind, and Gray re-shoved for approximately 5.5 million. Bennington got out of the way, and Chen made the call with , but he was dominated by the tabled by Gray. The five board cards would decide each man's destiny, and when the flop fell , fate was in Chen's corner. His supporters in the stands exploded in excitement, but their hoots and hollers were quieted at the sight of the , as Gray picked up a club flush draw to improve his chances. 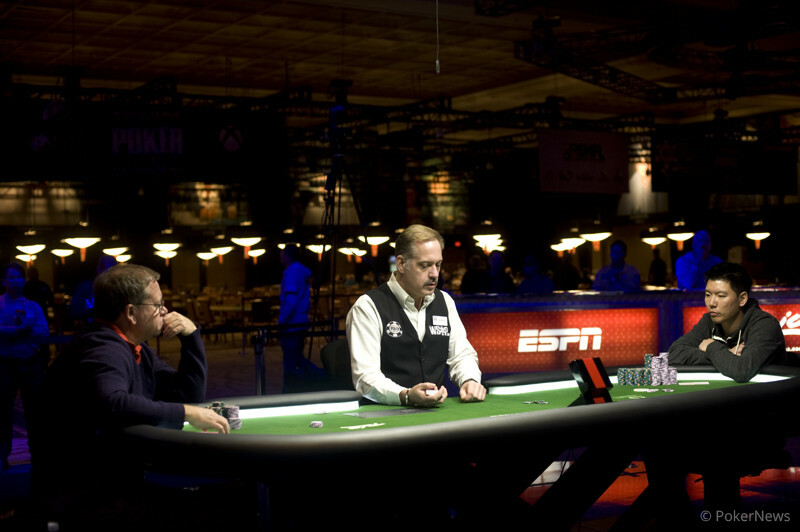 Both players craned their necks to watch the dealer burn and turn the decisive last card. The black card made everybody in the room catch their breath, but the spade was a blank for Gray and he was eliminated courtesy of a bad beat. Hand #184: Unknown action occurred on this hand, as the TD's microphone cut out momentarily. Hand #185-186: Gray won these two hands with consecutive all-in moves before the flop.